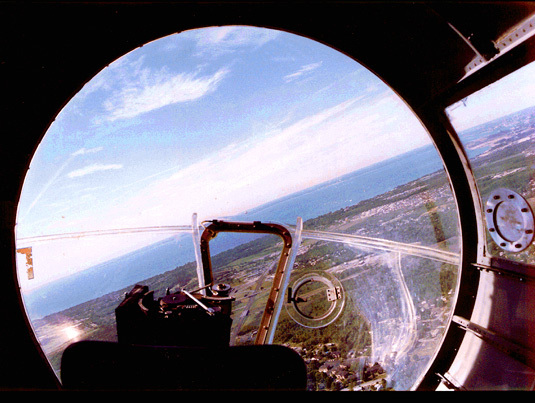 The airborne confrontations in World War 2 were some of the largest and memorable in the history of aviation – far more so than the fairly minor impact that aircrafts had on World War 1. The Axis forces (Germany and Japan) launched with heavy air strike campaigns and early on during WW2 they overran Denmark and Holland. 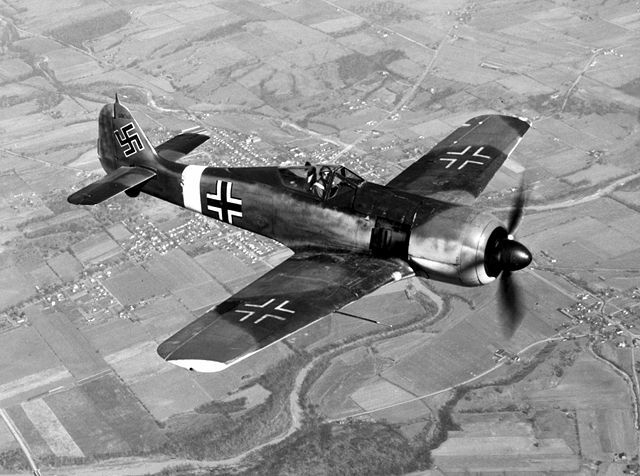 The Messerschmitt was the most advanced and capable fighter plane in its time and rendered the biplane type aircraft obsolete. 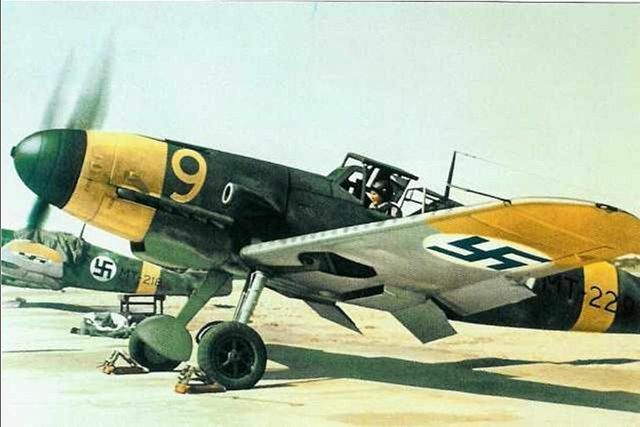 The BF-109 made many aces of the pilots who flew her and the plane is still regarded as one of the best designed aircrafts of all time – respected by both Allied and Axis alike. This piston fighter was responsible for hundreds of Allied fighter and bomber plane losses and is still regarded by some as the best piston fighter in WW2. American test pilot Charles Yeager remarked at the end of the war that the 190 was the only competition for the P51 Mustang for its performance and firepower. The use of these planes and many others during WW2 meant that the Allies had to respond in kind. 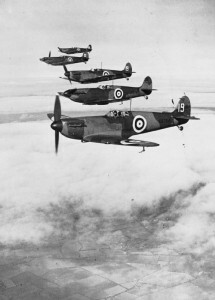 The British did respond with the now world famous Spitfire plane – guided by a new and advanced technology called radar. The Supermarine Spitfire is the iconic British fighter aircraft that claimed many German pilots. Tens of thousands were built and to this day it is known as one of the finest fighter planes ever built. The plane saw extended service after the war and a naval version called the Seafire was also developed. And so began the Battle of Britain. The entire conflict was fought in the air and when the German war planes were unable to dominate the British skies, the German war plans drastically changed. It was around this time that the Japanese used aircraft carriers that had been in service since the 1920’s to attack Pearl Harbour in Hawaii. This surprise attack all but wiped out the U.S. Pacific fleet using aircraft. It was a devastating assault which caused the deaths of 2,402 Americans and 1,247 injuries. The attack on Pearl Harbour led to the United State’s entry to WW2. A number of technological advancements saw the planes evolve during WW2. During World War 1 the planes were made of wood and built in the bi-plane style. WW2 planes were much sleeker and more powerful with aluminium bodies and supercharged piston engines. The British, German and American’s also began to experiment with jet engine planes during the war. The jet engines were used on a number of combat outings and achieved far greater speeds than their propeller equivalents. The German’s also developed and tested pilotless guided missiles such as the V1 and V2 however the majority of the WW2 combat in the air was fought with piloted, propeller driven fighters and bombers. The large bombers which were developed towards the end of the war played a significant role by destroying the German’s ability to fuel and munitions. 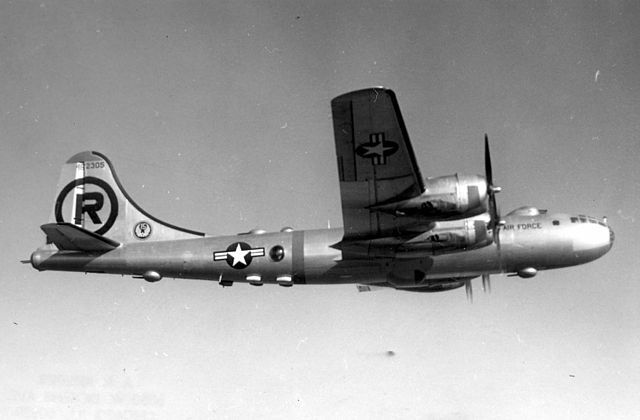 These bombers, such as the Boeing B-29, were huge aircrafts and could drop atomic bombs almost anywhere in the world. In the last air strike by the Americans they used a B-29 bomber called the “Enola Gay” to drop an atomic bomb on Japan. After World War 2 ended the fighters and bombers had evolved into a very effective weapon in the military arsenal and they are still integral to military forces all over the world today. Over 160 different types of aircraft were using during World War 2 and include the already mentioned Messerschmitt BF-109, Focke-Wulf 190 and Supermarine Spitfire. This plane was designed, built and flown in just a few months time and is often regarded as the design which helped the Allies to win the war. They were using primarily to accompany and assist the bombers on long range aerial missions but could also outperform German planes in the skies as well as conduct ground attacks with bombs and machine guns. The Boeing B-17 Flying Fortress. 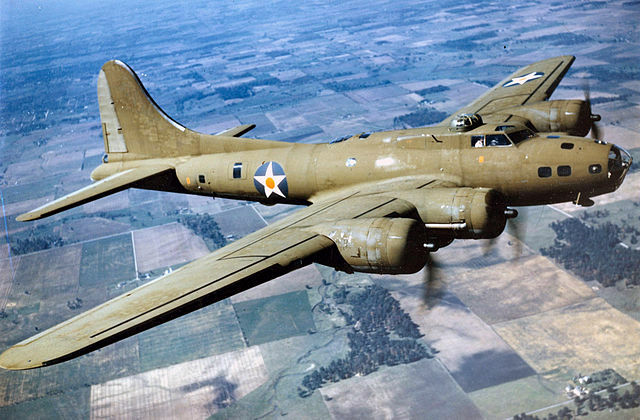 Introduced in April 1938 and with a top speed of 287mph, the B-17 was the foremost bomber in World War 2. Of the 1.5 million metric tons of bombs dropped on Germany and its territories by the U.S, 640,000 tons were dropped by the B-17. Originally designed as a high-altitude strategic bomber with a pressurised cabin, electronic fire-control system and remote machine gun turrets, the successor to the B-29 proved disappointing. Instead, it was used extensively as a low-altitude night time incendiary bomber and was used in the atomic bombings of both Hiroshima and Nagasaki. The de Havilland DH.98 Mosquito. One of the most under-appreciated and often overlooked WW2 planes is the DH.98 Mosquito. 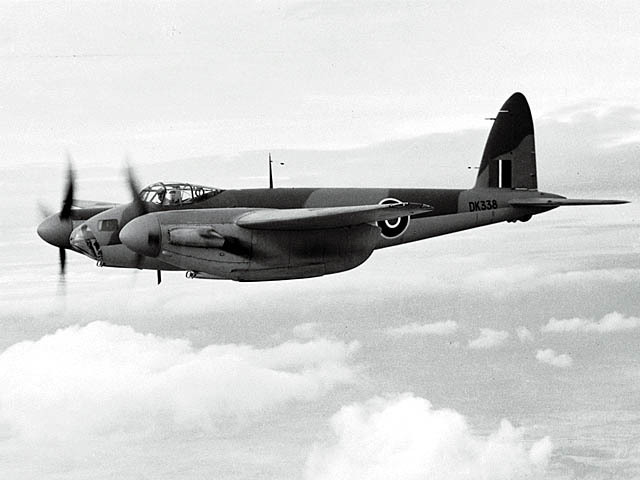 Used as a fighter, fighter-bomber, night fighter, patrol, reconnaisance mount, intruder and interceptor, the Mosquito was a true multirole aircraft that Axis planes could barely keep up with. The DH.98 was known as the “Wooden Wonder” because unlike many of the other WW2 fighters, wood was used heavily throughout her design.